We are not medical professionals, so always consult your doctor to talk about our experience before doing anything on your own. Always talk to your doctor because every individual is unique and deserves the best personalized advice possible. Three months ago, I noticed that my sweet 6 year old son had a wart on his finger. When I noticed, he told me that there were two more warts on the bottom of his foot. He didn't know exactly what they were until I noticed the one on his finger. I was initially going to take him to his doctor to find out what to do, but my husband calmly told me that duct tape would do the job. Say, what?! I thought that it was an old wives tale, but he was willing to take charge of the wart removal, so I told him to go for it. Here's how it worked. A whole lot of patience because this took about 3 months for my son. He soaked the areas with the warts and then washed and dried the area thoroughly. He used paper towels to dry them and then a blow dryer on a cool setting. He used an emory board to remove as much as comfortably possible from the wart (without my son complaining) and then threw away the emory board because, ew... reusing those seemed gross. He applied the Duct tape and left it on until the next bath. H scrubbed the bathtub down thoroughly. 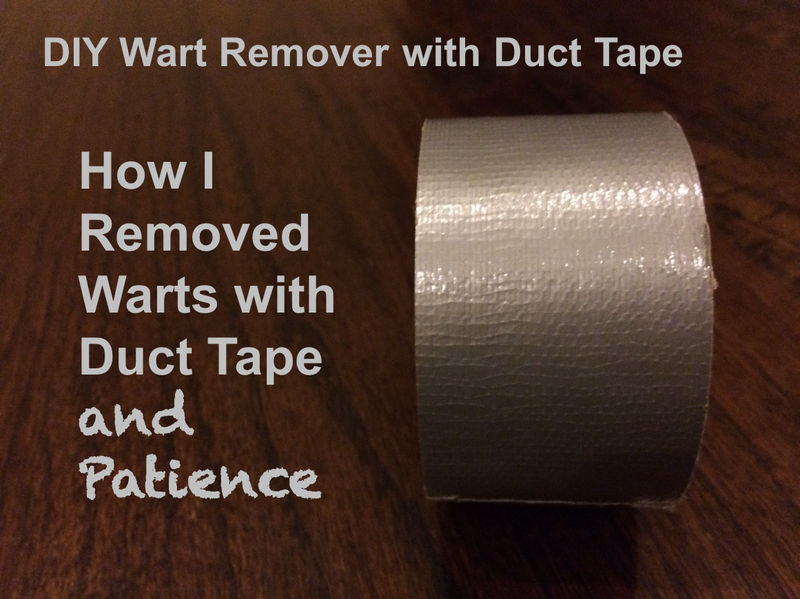 He repeated this for almost 3 months and then... the warts were gone! I was impressed with his Duct tape trick, or as my son says, the Duck tape trick. It wasn't too bad, but I felt like it took forever since it took almost 3 months. In the future, I'd probably take my son to a dermatologist to have them removed so that it was done right away without having to repeat the cleaning and taping process every night for 3 long months, but it was cool that it worked and was cheaper than a doctor bill. However, if my husband was willing to take charge of the wart removal again, I'd order some better Duct tape patterns for my son. If we have Star Wars BandAids, why not Star Wars Duct tape or other fun patterns?! Here are some supplies through my Amazon Affiliate account. We tried the wart removal with the silver Duct Tape. I haven't tried it with the Star Wars or Leopard print, but that may be fun!